Just as the thermodynamic properties of single-phase, one-component gases, liquids and solids are of considerable practical importance, so too are the properties of their two-phase mixtures. In Chapter 2, the properties of ideal and real one-component materials were presented. Because of its unique standing in our environment, Chapter 2 also reviewed the thermodynamics of liquid-vapor mixtures of water. Few other substances have been as exhaustively studied to warrant extensive thermodynamic compilations analogous to the steam tables. For most materials, the equivalent of the steam tables must be contained in a few properties (e.g., temperatures, enthalpies and entropies of phase changes, specific heats, and coefficients of thermal expansion and compressibility). Thermodynamic relations provide the relationships between these basic quantities and useful properties such as vapor pressures and phase diagrams. The purpose of the present chapter is to treat a broader range of two-phase mixtures of simple substances (or one-component materials), including solid as well as liquid and vapor phases. Simple substances do not present the complications arising from composition as a variable. Phase equilibria in two-component systems will be analyzed in Chapter 7. For one-component systems, pressure and temperature are the only variables. • What p -T conditions permit the coexistence of two phases? • Upon increasing temperature, when does one phase disappear and the other form? 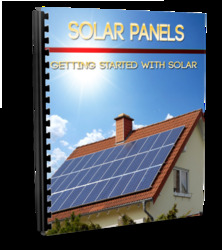 • How does the Gibbs free energy provide the basic criterion of phase equilibrium? Solids and liquids are collectively termed condensed phases chiefly because of their high density and incompressibility compared to those of gases. 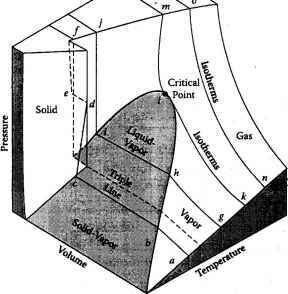 In analyzing the p - T characteristics of phase transitions, the meaning of the term "pressure" needs to be clarified. For transitions between condensed phases, pressure means the total applied pressure, and is designated by p. The total pressure can be controlled by an inert gas in contact with the condensed phases. Alternatively, pressure could be generated by a piston acting on the mixture, without a gas phase present. In dealing with phase transitions involving the gaseous form of the substance (i.e., vaporization and sublimation), the pressure generally means the vapor pressure, also called the saturation pressure, and denoted by psat. This is a property of the substance, as opposed to the total pressure p, which is applied to the system. Being a thermodynamic property, the vapor pressure of a condensed phase is a function of both temperature and total pressure. However, the effect of p on psat is small, and the vapor pressure is usually considered to be a function of temperature only. Thus, the vapor pressure of liquid water at 100oC is 1 atm whether the gas phase is pure steam or contains in addition a ten atm partial pressure of an inert gas such as air (actually, the vapor pressure rises to 1.005 atm when the total pressure is 10 atm ). The concept of a characteristic pressure also applies to transitions between condensed phases, where it is denoted by ptr. For example, the pressure at which graphite transforms to diamond is a property of carbon. However, only when one phase is gaseous are the two pressures p and psat distinct quantities. When both phases are condensed, the applied pressure and the transition pressure are identical.